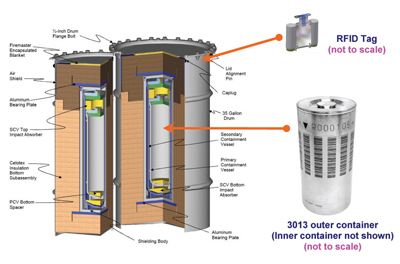 Schematic cutaway view of model 9975 transportation packaging showing 3013 outer container and RFID tag. Click image to enlarge. 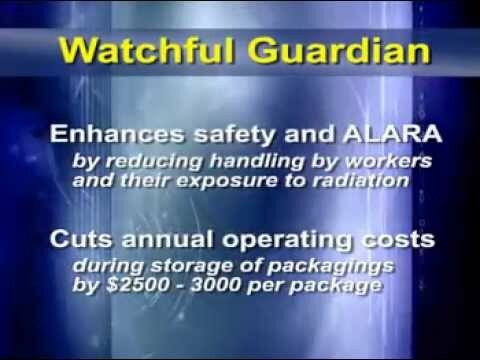 The objective of packaging certification and life-cycle management of nuclear (or fissile) and other radioactive materials packaging is to ensure the safety functions — that is, the containment of radioactivity, protection against radiation, and criticality safety for fissile material contents during the entire life cycle of the packaging in storage, transportation, and disposition. A framework has been developed for life-cycle management of type B radioactive and fissile materials packaging. 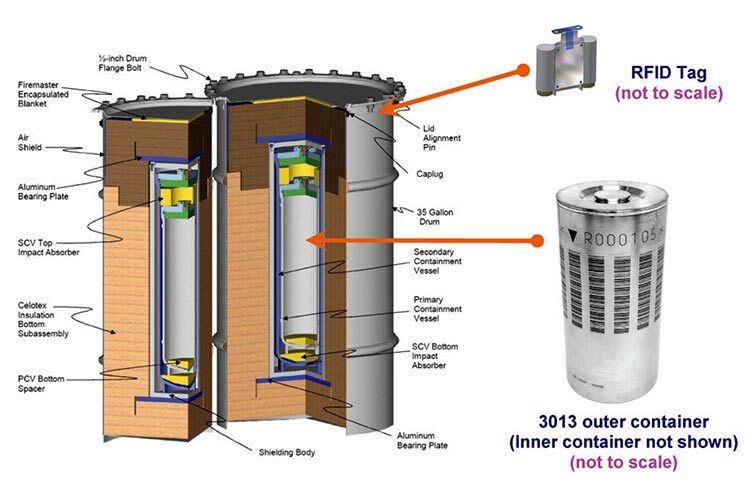 This framework draws upon current U.S. Department of Energy (DOE) storage standards and examples from the interim storage of Pu-bearing materials in model 9975 transportation packagings. Key issues highlighted during the long-term storage of Pu-bearing materials included gas generation and stability of PuO2+x; other operation safety issues highlighted for interim storage of model 9975 transportation packagings included the need to consider a facility design-basis fire event and the long-term behavior of packaging components, such as Celotex and elastomeric O-ring seals. The principles of managing aging packagings are described in the framework and the key attributes and examples of effective aging management programs are provided on the basis of the guidance documents for license renewal of nuclear power plants and dry cask storage systems at independent spent fuel storage installations. The DOE Packaging Certification Program of the Office of Packaging and Transportation, Environmental Management, supported by Argonne and other national laboratories, plans to expand its mission into packaging certification for storage and management of aging packagings, as well as application of advanced technology — such as radio frequency identification (RFID) — for life-cycle management of nuclear and other radioactive materials packagings into the 21st century.